It is with great sadness that the family of Carol Hallock announces her passing on Monday, August 6, 2018, after a brief illness. Carol will be lovingly remembered by her husband of 19 years, Randy; her sons, Bryan and Jason Hart; her step-daughters and their families, Mikelyn, Shawn, Drake, and Billye Bogart, and Amy, Ryan, and Rylee Conover. She will also be remembered with much love by her mother, Noreen Plaisance; her siblings, Gene (Cindy) Epsky, Mary Plafcan, John Epsky, Patti Epsky, Kathy (Joel) Ebnet, Peggy (Matthew) Mathies, and Linda Hawley; as well as many in-laws, nieces, nephews, and friends. From her birth on May 7, 1954, in Little Falls, MN, and through her life, Carol’s days were filled with family, friends, and a thousand things to do. She delighted in her children and grandchildren. She loved flowers and plants – seeing and smelling them, growing them, arranging them, and decorating with them. She was a certified florist and a Master Gardener. She loved books and travel, purple and green, and found deep and abiding joy in her church and faith. 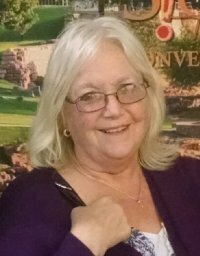 Carol also had a passion for helping others: volunteering for Meals on Wheels, Love, Inc., and Northern Hills Drug Court; serving on the board of the Serenity Building in Sturgis; and helping groups such as 4-H raise money. Carol received a number of honors and awards during her lifetime, including being named as one of the “Ten Most Fabulous Women of 2013” by Black Hills Woman Magazine. Governor George Mickelson’s citation, when he declared January 23, 1992, as Carol Epsky Day, summed it up well, noting her achievement as the first woman in South Dakota to become a licensed plumbing contractor, as well as her devotion to the betterment of her community and her day-to-day caring, sharing, loving, and giving. Carol was a loving, kind, generous and compassionate woman and will be deeply missed by her family and friends. Visitation will be Monday, August 13, from 3:00-8:00 p.m., with a prayer service at 7:00, and Tuesday, August 14, 9:30-10:45 at LifeSpring Wesleyan Church. A Celebration of Carol’s life will be held at 11:00 a.m. on Tuesday, August 14, 2018, at LifeSpring Wesleyan Church. Burial will follow at Bear Butte Cemetery in Sturgis. In lieu of flowers, donations to Wings as Eagles Ministries and Rainbow Bible Ranch are preferred.